Day 2 of the Beachbody Ultimate Reset was when I felt things starting to work. My kidneys and liver area were working twice as hard as normal. No headaches or tiredness. Lost 3 pounds in my first day. Might have been water weight. 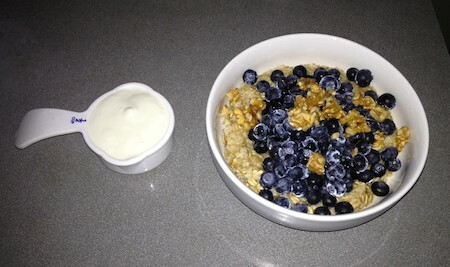 Breakfast included oatmeal with blueberries and yogurt. 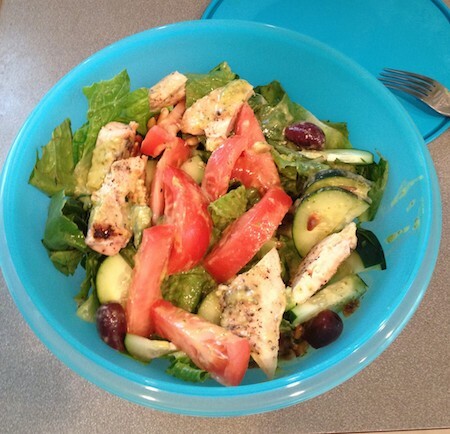 Lunch was a Greek Salad with chicken and toasted pine nuts. 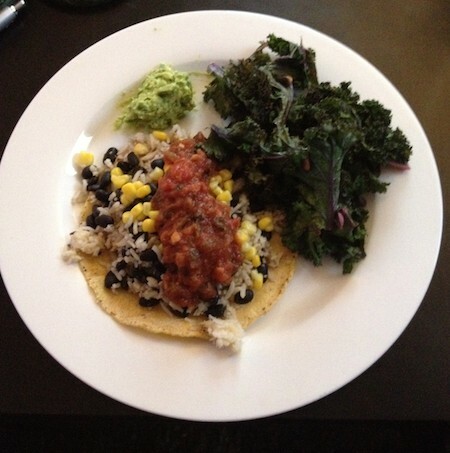 Dinner was a black bean, rice, corn, and salsa taco with guacamole and kale on the side. All three meals tasted great and I was surprised how easy they were to make. And yes, I do use measuring cups as a dish to serve and eat out of.